BATON ROUGE, La. 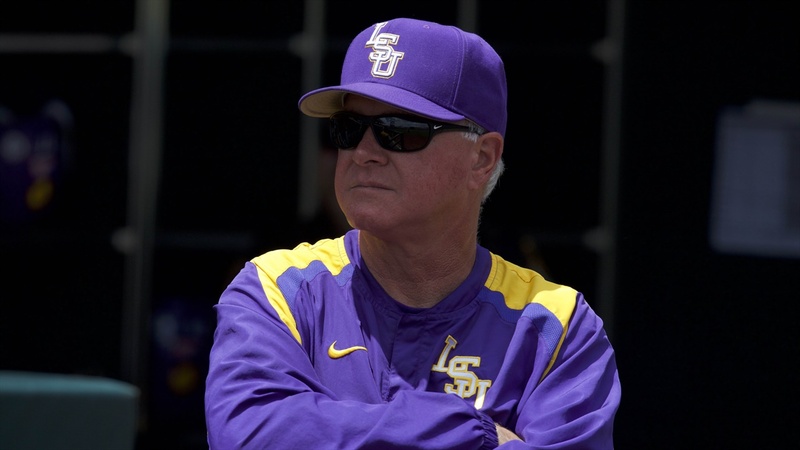 – Admission is free for Sunday’s LSU baseball exhibition game versus the University of New Orleans at Alex Box Stadium, Skip Bertman Field. First pitch for the contest is set for 3 p.m. CT. The game marks the halfway point of LSU’s fall practice period, which began on September 23 and has featured several intra-squad scrimmages. A new NCAA rule in effect this season allows teams to play two exhibition games in the fall against other schools. LSU will also meet UNO at 5:15 p.m. on Friday, October 26, at the Privateers’ Maestri Field. LSU’s clear bag policy will be in effect at the stadium entrances, and seating will be available in the covered grandstand areas– seating will not be permitted down the outfield lines or in the outfield bleachers. Concessions will be available for sale, and restrooms will be open for the comfort and convenience of fans. · Each half-inning will either consist of three outs or 20 pitches, whichever comes first … if a pitcher reaches the 20-pitch mark while an at-bat is still in progress, the at-bat will continue through its completion. · There will be exactly 120 seconds (2:00) between half-innings … the time will be kept on the clock in left-center field, and the clock will start immediately after the final out of a half-inning is made. · As in Major League Baseball, pitchers will no longer have to throw four pitches for intentional walks … the batter will simply be instructed to advance to first base if he is to be intentionally walked. · With runners on first and third, pitchers are no longer allowed to fake a pick-off move toward third base and throw to first base. LSU opens its 2019 regular season at 7 p.m. CT on Friday, February 15, versus Louisiana-Monroe in Alex Box Stadium, Skip Bertman Field.